She was known as ‘Cissy’. Like most young working class girls of that period she went into service. 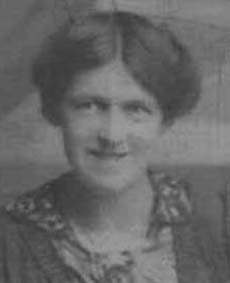 It was whilst she was working at Carr House Farm Cayton that she met her husband to be, John (Jack) TYSON. 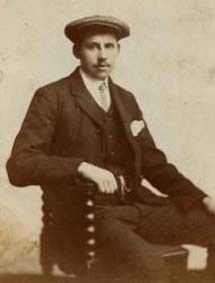 Jack was born at Cloughton on the 18th May 1889. He was a farm labourer also working at Carr House Farm. They settled in Cayton, firstly at Beck Hole and then at 12 West End View. Jack was 62 when he died on the 1st May 1952. Maria died on the 25th December 1970 aged 81. They are both buried at Cayton Cemetery. 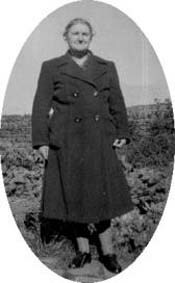 Bob was born at Cayton on the 20th October 1917. 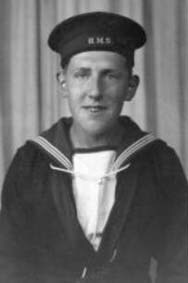 He joined HMS Drake as a sick berth attendant on the 15th June 1938. He was on a twelve-year engagement. 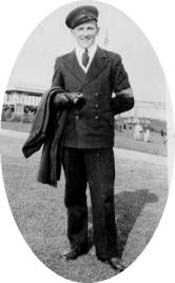 He died from peritonitis in Plymouth Naval Hospital on the 27th September 1939 aged 21. Click here to read the letter of consolation from the hospital chaplain. Vic was born at Cayton on the 19th July 1919. After leaving school, Vic worked at Plaxton’s coach factory in Cayton until, like his brothers, he went to war in the 39-45 conflict. 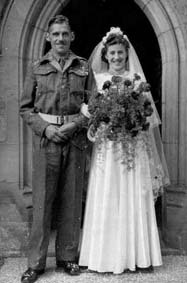 After the war he was married at Folkton Church to DORIS RIBY (Bayes) born on the 9th November 1921 at Ruston. They lived at Flixton where Vic worked as a bricklayer. They later moved to Norton near Malton where Vic worked for Lord Downe. Victor died at Norton on the 6th November 1980. SANDRA ELIZABETH, born on the 7th December 1947 at Flixton. Married to CLIVE GIBSON (Divorced) born on the 9th August 1945 at Pickering. NICHOLA JAYNE, born on the 22nd November 1972 at Norton. She had a son: - LOUIS VICTOR born on the 3rd October 1990 at Malton. Fred was born at Cayton on the 18th February 1921. He worked as a driver for local firm Fred Smith’s until he joined the RAF during the 1939-45 war. 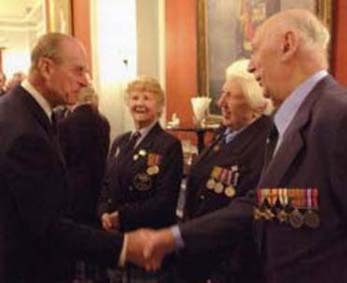 Fred served in North Africa from 1943 and moved with the invasion forces into Sicily and Italy, attaining the rank of sergeant. After the war he returned to work at Fred Smith’s. 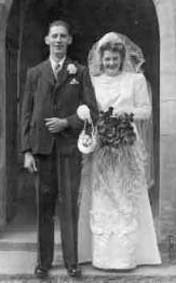 In 1947 he was married at Muston Church to Betty (Barker), born 27th August 1925 at Wrelton near Pickering. 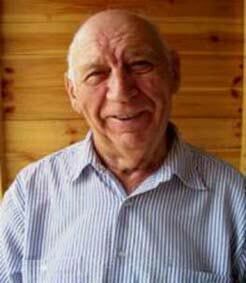 Fred eventually set up his own delivery round with a grocery van visiting the rural villages surrounding Scarborough for 18 years. He then worked at Quarton’s as a warehouseman and driver until he retired. JUDITH ANNE, born on the 17th November 1950 at Scarborough. Married to GORDON LESLIE SMITH born on the 17th May 1951 at Leeds. 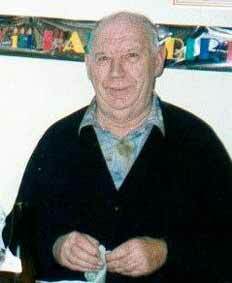 He died in Scarborough Hospital on 10th August 2006. Judith was a policewoman in Scarborough. They have no family. 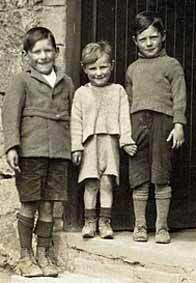 John was born at Cayton on the 5th June 1923. He also served in the Navy during WW2. whilst they were both working at Wallis’ Holiday Camp at Cayton Bay. John eventually had his own driving school in Scarborough, he was also a Special Constable for many years. John died at Scarborough on the 22nd August 1990 aged 67 years. ROBERT JOHN born on the 18th February 1953. Married to SUSAN (Siddle) born on the 16th January 1953. 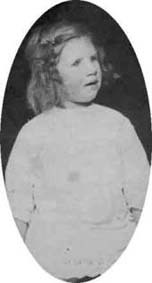 LOUISA MAY born on the 18th April 1981. SUSAN JEAN born on the 11th May 1954 at Bridlington. Married to JOHN KEITH PALETHORPE born on the 9th May 1965. Married to KATHLEEN (Barker) born on the 30th March 1964. However he was in fact already married, and they were subsequently divorced. Linda (Tyson) born on the 23rd December 1952 at Cayton. 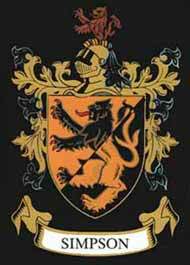 Linda married Sidney John (Mealor) and was divorced in 1978. MARCUS JOHN born on the 12th February 1971. Marcus changed his surname to Hardisty. SHANE born on the 20th June 1973. BRETT born on the 24th July 1975. Linda also had another daughter: - EMILY (Brady), born on the 6th April 1985. Linda died on the 18th October 2002 at the early age of 49 yrs. 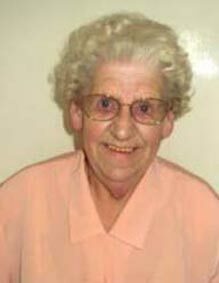 Margaret was later married at Scarborough Register Office in July 1985 to Cecil Noel (Cantwell), born on the 7th June 1916 at Boston Lincolnshire. Cecil died in Scarborough Hospital on 6th October 1993 and Margaret died 7th February 2010 at Scarborough hospital, she died from a weakened heart after she collapsed that morning. She was attended by her grandsons Marcus and Brett. from their daughters Emily and Mariah Ethel and their families (Jones/Tyson).